Temperature compensation and linear compensation produce high accuracy (±3% RD (25% to 100% FS)). Compact models for 10 to 70 L/min. Reduced piping work with quick-fastening feature. Note: 5. 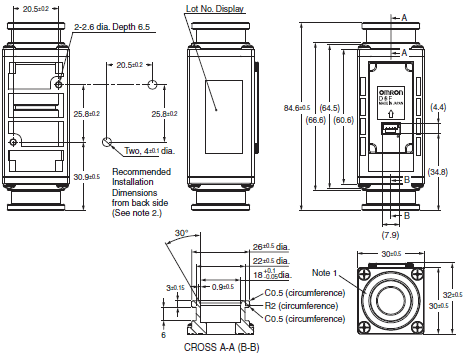 Refer to the D6F-☐☐☐☐D-000-☐ Application Notes for details. Note: 6. With no condensation or icing. Note: 7. The following custom options are available. Ask your OMRON representative for details. Note 1. Note . The Port type of pipe fitting based on "Quick Joint P10 Type". * Please obtain a male joint separately. Note 2. 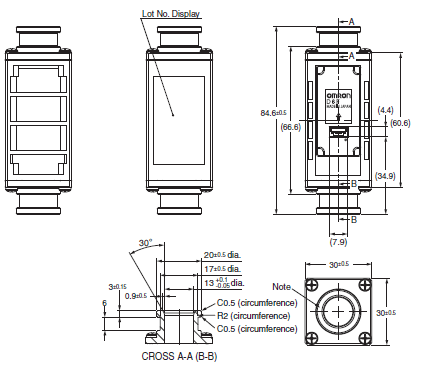 Use the following connectors to connect to the Sensor. Note 1. The Port type of pipe fitting based on "Quick Joint P14 Type". * P14 shows the name of an O-ring prescribed by JIS B 2401. 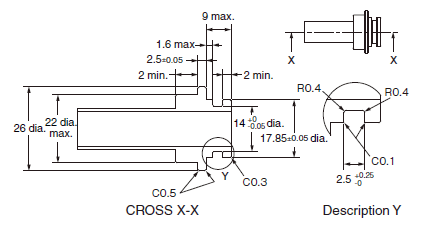 * The port of O-ring ditch is based on P14 of JIS B 2406.
tighten them to a torque of 1.2 N·m max. 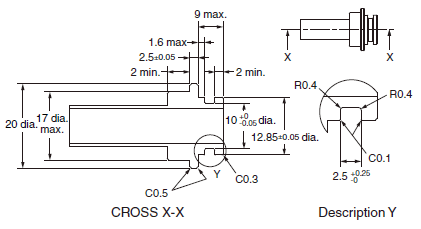 The screw threads must engage for 5.5 mm min. Note 3. 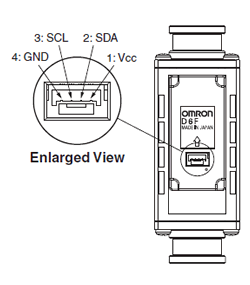 Use the following connectors to connect to the Sensor.